2012 marks the 50th anniversary of the LEGO® brick in Australia. 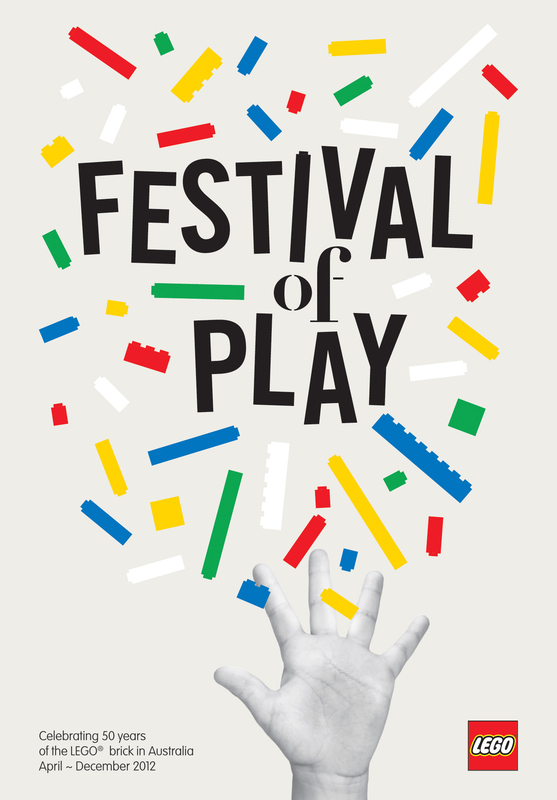 To commemorate the milestone, LEGO Australia has today launched the Festival of Play, a nine-month integrated campaign, encouraging kids and adult fans alike to celebrate through play. The national initiative is made up of a series of digital, social and experiential events, all inspired by the iconic construction bricks. 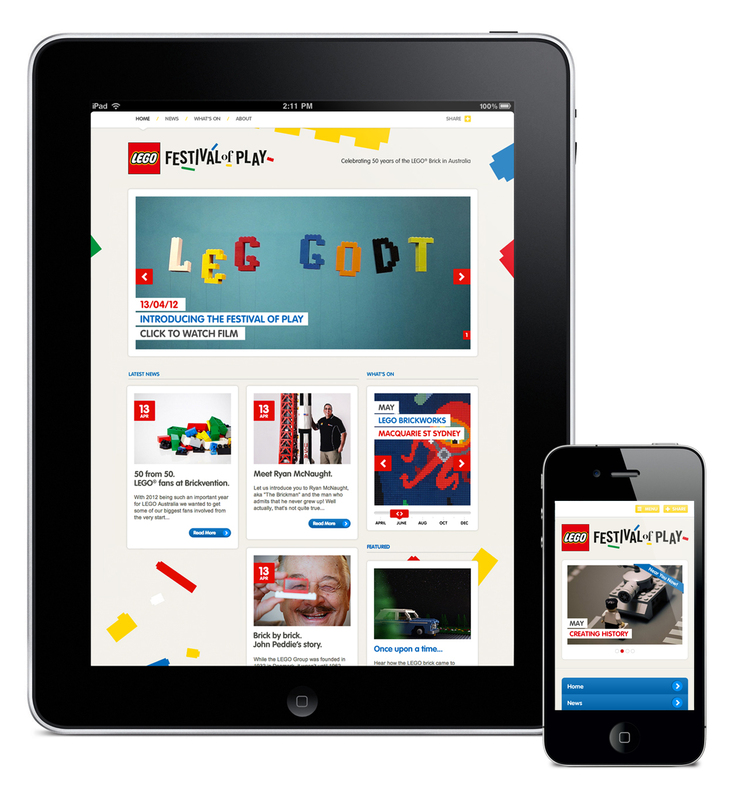 A dedicated website, LEGOfestival.com.au launches today and will act as the central hub of the campaign, hosting the latest news and activities scheduled for the Festival of Play. Between April and December 2012, Festival of Play will be further brought to life through outdoor, print, digital, social media and PR, resulting in a regular number of monthly calendar initiatives for Aussies young and old to celebrate 50 years of the LEGO brick in Australia. The Festival of Play campaign was developed at Host (brand identity and digital) and One Green Bean (project management, PR and community management), and Universal McCann (media).